These days, one of the most interesting and unique professions in the field of the medical industry is the profession of being a sports podiatrist. This is a specialist who takes care of conditions and ailments suffered by sports athletes. The sport podiatrist Sutherland shire will treat and diagnose foot and ankle conditions that are connected to the lower limb suffering and ailments that is caused by the sports. The sport podiatrist Sutherland shire is one of the leading treatment centers that can provide the best evaluation, diagnosis and treatment as well as other ailments related to sports. Sports podiatry is extensively practiced in Australia. This is because more and more people in these countries are interested in doing sports. 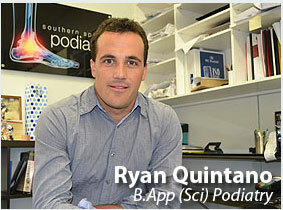 Call our sport podiatrist Sutherland shire centre to discuss your needs. The most typical condition that most sports professionals encounter are back pain, knee pain, heel pain, achilles tendonitis, corns and shin splints. The procedure to diagnose or treat the condition is alike to the sport orthopedic surgeon as well as the rules for the Sutherland shire sport podiatrist. Primarily, the podiatrist inspects the injury and the causes. Aside from that, the history of the ailments, required treatment with strengthening muscle exercises with stretching are also practiced. The most common means of examining the injury are via biomechanical diagnosis, checking movements and the formation of limb and bone structure. Sutherland Shire Sport Podiatrist is one example of a center that can provide all the services needed by any sports athlete professional. Since its inception the company has built a good reputation due to the great services that it offers. They have some of the best and excellent podiatrists in town, which can surely provide the best service to care your foot.